Whether you are a working mum or stay at home mum, life can be hard, trying to juggle all the things we need to get done as well as managing a budget is sometimes impossible and almost inevitably something gets missed or has to put on the back burner. People tell you to treasure the moments with your kids, housework will wait, work can wait, well..Yes to an extent that's great but practically can you put it off long term? We have to eat, we have to have clean clothes, we have to have money coming in. 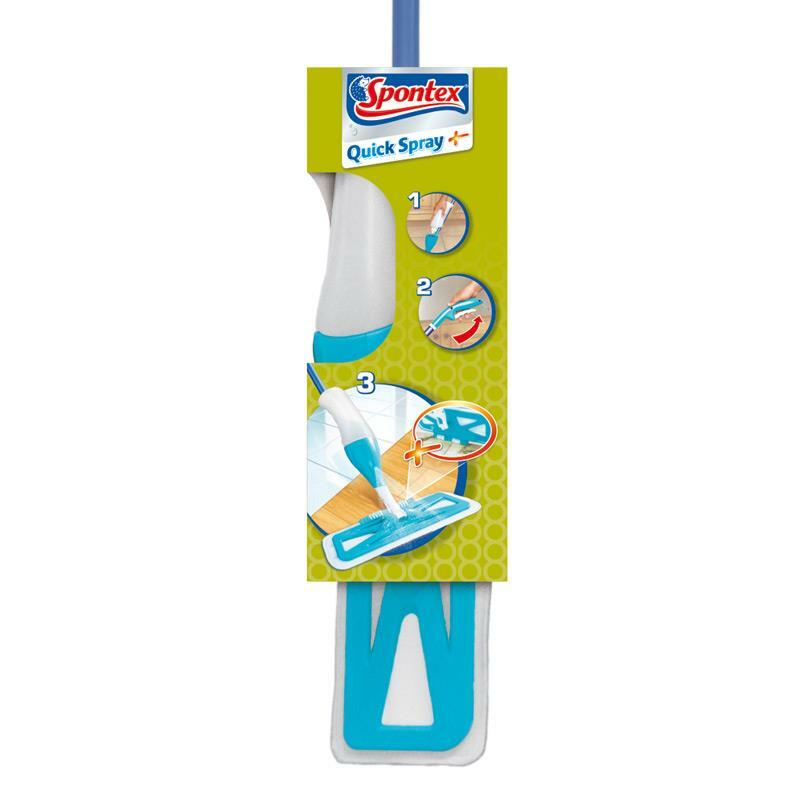 But there are a few ways we can cut corners and products to help save time...Or money. How often do you end up going out to buy a new jacket (motorbike clothing in our case) or throw the tent out as it is getting a little less waterproof than you would like? Then these products from Nikwaxcan save time and money by recoating and making clothing or waterproof materials as good as new, either apply directly or add to the wash cycle, simply follow individual instructions. Nikwax manufacturers high quality cleaning and waterproofing products for gear that helps prolong the life and enhance the performance of clothing and equipment you spend lots of money on. Nikwax is a UK based company that was started by Nick Brown 40 years ago and prides itself on being environmentally friendly. Tech Wash: effectively cleans, revives breathability and water repellency. Use this to wash your ‘technical gear' every time it needs washing. Every time you wash a waterproof or ‘breathable’ piece of clothing with normal detergent, the detergent blocks the pores of the fabric reducing its Durable Water Repellency [DWR] and reducing its breathability by around 70%. Tech Wash will remove not only dirt, but also residue left behind by household detergents revitalising the DWR and the breathability. TX.Direct: adds DWR and revives breathability. Use this as a waterproofer when you notice that your clothing is starting to lose it’s DWR. DWR on waterproof jackets doesn’t last forever and will need to be topped up when your garments start to get sweaty and clammy on the inside. Fabric & Leather Proof: waterproofs, maintains support, texture and breathability of all combination footwear. If you have fabric or leather boots or shoes that are starting to look shabby, apply Fabric & Leather Proof to help revitalise the leather/fabric and keep it waterproof. Tent & Gear SolarProof: Adds DWR, increases fabric strength & protects against UV deterioration. One application can double the effective life of fabrics and can be applied to wet or dry synthetic fabric. Bedtime can be a testing time as well as time consuming so i bring you this book and sleep solution to help your child drift off happily and peacefully giving you a little more time back in the evening. What’s her secret? 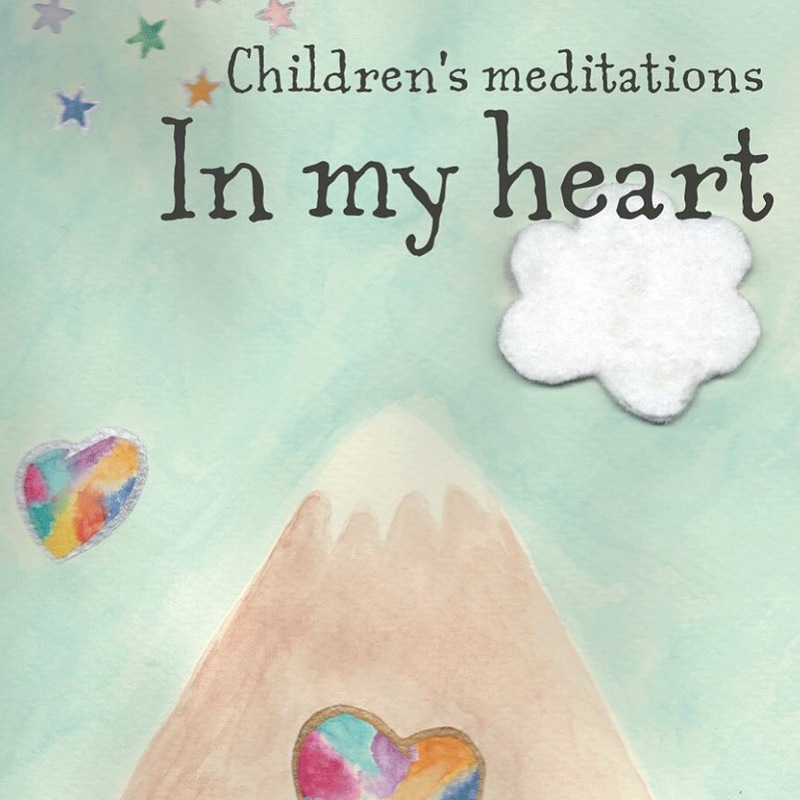 A method so simple it will surprise you: you’ve just got to turn up the love. One thing I hate is doing packed lunches, you try to make it healthy and varied but can take twice as long bagging or wrapping each individual thing, because God forbid the cucumber touches the cheese!!! 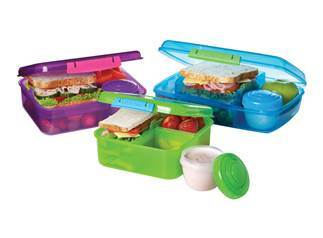 So these fab lunch boxes from sistema are amazing, each thing can be packed in individual compartments so the cucumber has no chance of touching the cheese, saving miles of cling film (let's not mention the battles with cling film) and dramas averted! 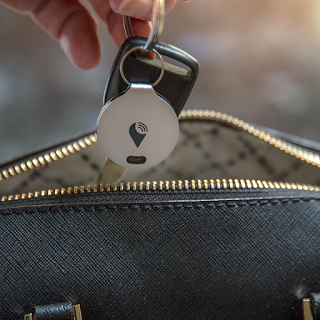 Attach the coin-sized TrackR bravo to any item and use the TrackR app to locate it in seconds. Ring your missing item or get a reminder to grab your item before leaving it behind. For me this is a god send, forever putting things down and they get moved, keys are never in the same place so this will save me so much time and stress next time they take a little walk! 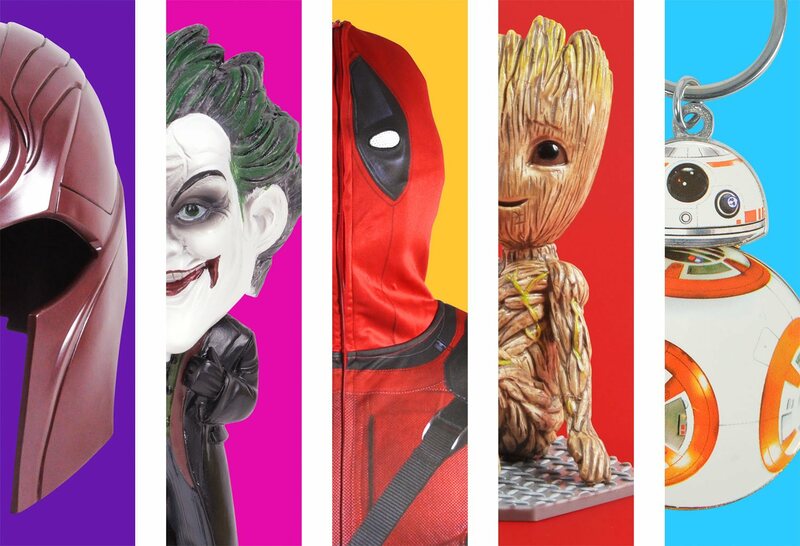 Is it me or does shopping for gifts get harder so what about a subscription service, easy to sign up to and arrange, no hours wandering around the shops aimlessly looking for something. 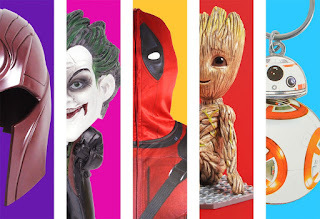 How about a mystery subscription box from a-box.com so every month you get a box of surprises for a whole year, So how does it work and what kind of things come in the box? 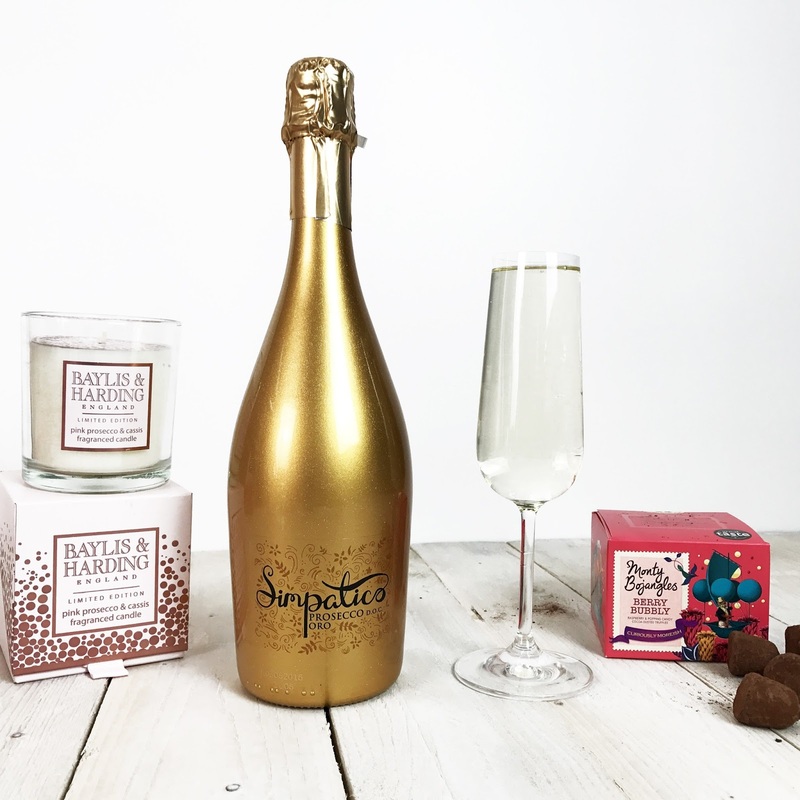 Prosecco, Truffles & Scented Candle- Perfect as a birthday treat! Light your candle, allow the rich velvety chocolate truffle to melt on your tongue and then relax with a chilled glass of Prosecco. Is there a better way to relax? 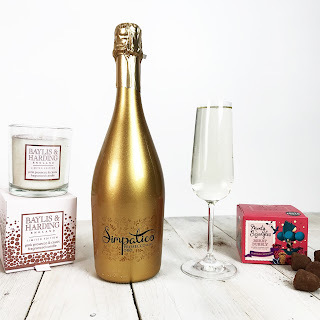 The chocolate truffles have a delicate hint of popping candy so they sparkle on your tongue which is a delicious combination with the sparkling wine. The Simpatico Prosecco is a light and slightly dry sparkling wine. Yes it looks like wine......and...... it tastes like wine! without the calories or the after effects, double bonus! Botonique has been expertly crafted by experienced wine merchant, Hilary Marsh, who when deciding to reduce her wine intake for personal health reasons, found that non-alcoholic drinks alternatives were too sweet and a frustrating shadow of the drink she loves, which did not complement food like a good wine does. 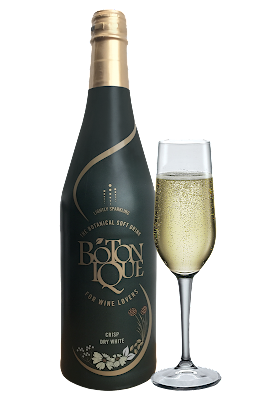 As a keen mixologist, Hilary decided to take a completely different approach by creating the distinctive, intriguing and captivating taste of Botonique that has the complexity and long finish often associated with white wine. As busy Mums trying to make good choices we can easily do so with the refreshing taste as well as the health benefits of Botonique! This is because it contains the beneficial elements of Prelixir®, a unique blend of vitamins, minerals and amino acids which alcohol is known to deplete. This unique element means that Botonique is able to provide anti-oxidant, anti-inflammatory, alkalising, detoxifying and hydrating benefits, resulting in all the pleasure of drinking without the negative side effects. So there is just one more thing we mums can enjoy without worrying about the effects of drinking as well as making healthier choices...and what an easy and enjoyable choice that is! Although we will still have a fair amount on our plates, just maybe these little things will save us a bit of time, stress, improve our health and save some money! !